This is where you'll find anything you may need in relation to Air Compressors. 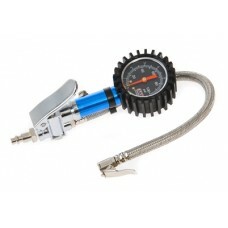 Any attachment or gauge your looking for you can get right here. 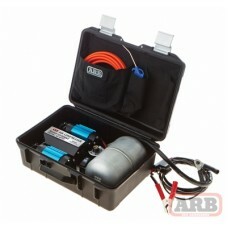 This compact vehicle mounted Air Locker Air Activation System has been specifically designed to provide on-board air for activating ARB Air Locker locking differentials. It comes with a mounting brack..
A differential / axle breather serves the important purpose on a 4WD vehicle of venting the air pressure in drivetrain assemblies such as the differentials, transmission and transfer case. Under norma..
Keeping accurate tire pressure is a necessity for good fuel economy, prolonged tire life and maximum traction off road. 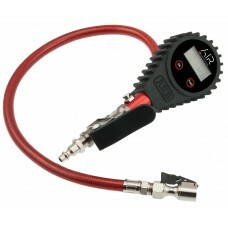 Introducing the new ARB Digital Tire Inflator Gauge, which is ready to provide a..
Universal Heavy Duty Air Line (HDAL).. 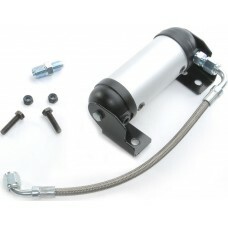 Permanently mounted, this compressor is installed into your truck and includes a full wiring loom with air locker solenoid plug in contacts, mounting hardware with reinforcing bracket and quality comp..
Inflation kit for use with ARB Air Compressors. 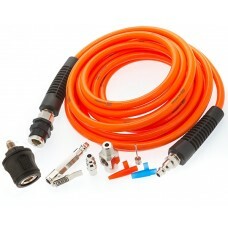 1 x High heat pressure hose 1 x ARB air chuck with quick press fitting 1 x ARB T-fitting for use with the CKMA12 ARB air compressor an assortment .. 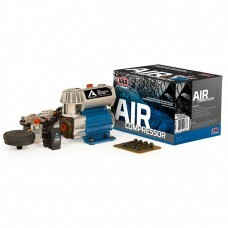 The Air Locker Manifold Kit enables the installation of Air Locker solenoids to an air source (150PSI]) such as an ARB compressor or a regulated gas bottle. 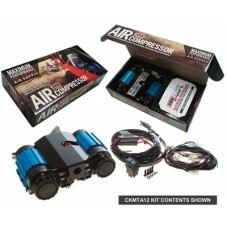 The Air Locker Manifold Kit includes: -.. ARBs new CKMTA24 twin on-board compressor kits were designed to fill the market need for a compact sized yet high-volume compressed air source to suit the high volume airflow needs of most air powered.. 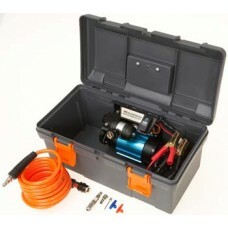 This portable 12V air compressor comes in a durable polypropylene carry case for added versatility and uses quality components for quiet operation and extra long life. 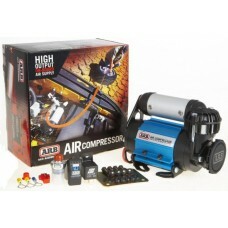 Including a 19 foot air hose, it..
ARB’s new CKMTP12 twin portable air compressor was designed to fill the market need for a compact sized yet high performance compressed air source for rapid inflation of large tyres as well as the hig..
ARB’s new CKMTP24 twin portable air compressor was designed to fill the market need for a compact sized yet high performance compressed air source for rapid inflation of large tyres as well as the hig..
**Discontinued, Replaced by ARB-601Designed for quick and accurate tire inflation with an in-line gauge, the ARB Inflator can be fitted to ARB compressors with the US standard fitting, or the fitting .. 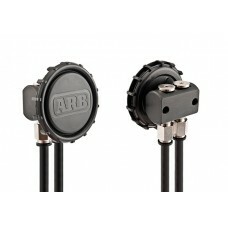 ARBs CKMTA 12v twin on-board compressor kits were designed to fill the market need for a compact sized yet high-volume compressed air source to suit the high volume airflow needs of most air powered t..